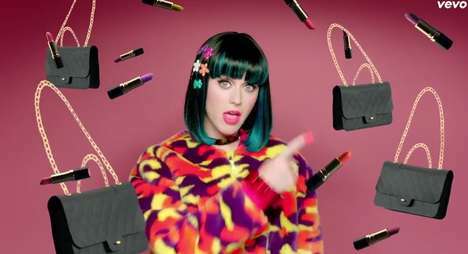 I am pretty sure that when you are as good looking as Katy Perry, you can wear anything and it would still be hot. So when the Katy Perry leather bustier made an appearance, all eyes were on her. Sitting front and center at a Paris fashion show, the Katy Perry leather bustier probably got more attention then the show itself. Finishing the look with black pants, and her trademark ebony hair, there could have been a fire in the building and I am sure no one would have noticed.